Transitions are hard, and making the transition from Phoenix to Greensboro has been tougher than I was anticipating! There are so many little things that have to be taken care of when you close a business and open a new one. Besides all the boring legal stuff, I had to create a whole new website and branding, set up my studio, and more! I wanted to pull my hair out most days, but I survived and now I am officially up and running! I’m so excited about my new website and I would LOVE to hear your feedback! So feel free to check it out and leave me a comment on your favorite blog post! To celebrate, I am having an amazing Grand Opening Sale! There are a couple amazing ways to save, so here are the details! Book your session and receive 20% off your session fee! Refer a Friend and receive an additional 10% off for each referral! Refer up to 3 friends to receive a total of 50% off your session fee – a possible savings of over $200!! *Fine Print – Session must be booked by July 31st, 2016 and must take place before October 31st, 2016. Sale is applicable for ALL session types, Luxe and Petite. Contract must be signed and Retainer fee must be paid upon booking. To receive the Refer a Friend Discounts, they must also sign and pay. Remaining balance with discount is due at time of session. All session fees are subject to applicable NC Sales Tax. 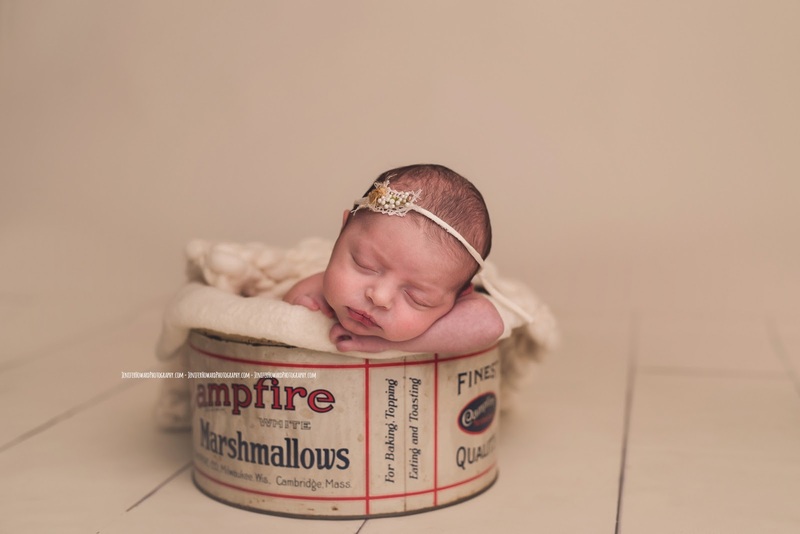 Summerfield Newborn Photographer – Jenifer Howard Studios. I have known Chase and Jill now for a few years. They have been amazing friends to us! On a whim, I invited Jill with the boys and I to the Children’s Museum one summer afternoon, we chatted like we normally do about life and how crazy my kids are. She ended up telling me they were expecting and I literally jumped up and down! I was so excited for them! I was not expecting her to share that news, so it was quite the surprise! The months went by and finally it was January. Baby Reed was here! 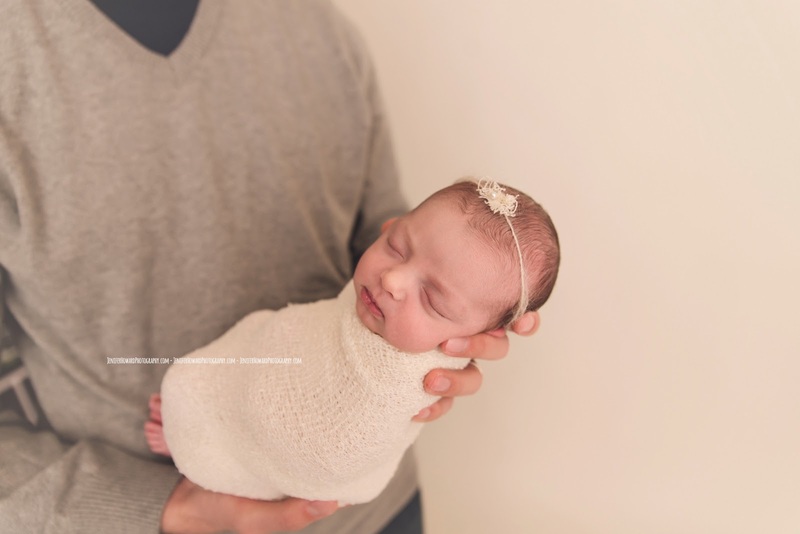 I was so excited for their petite newborn session, I could hardly contain myself! He was so perfect! He did amazing for all of his bean bag poses but when we stopped to get set up for the parent portraits, he was wide awake! 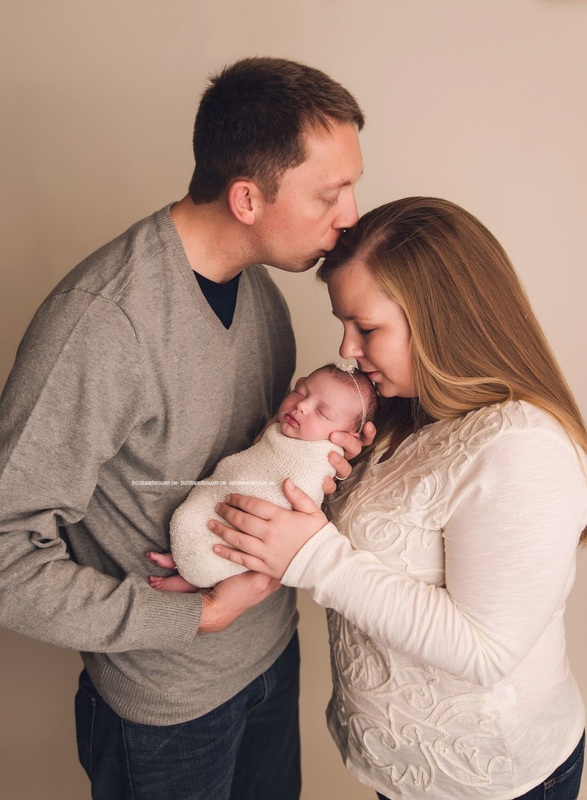 He gave me the most amazing eye contact during his pictures with his mom and dad! 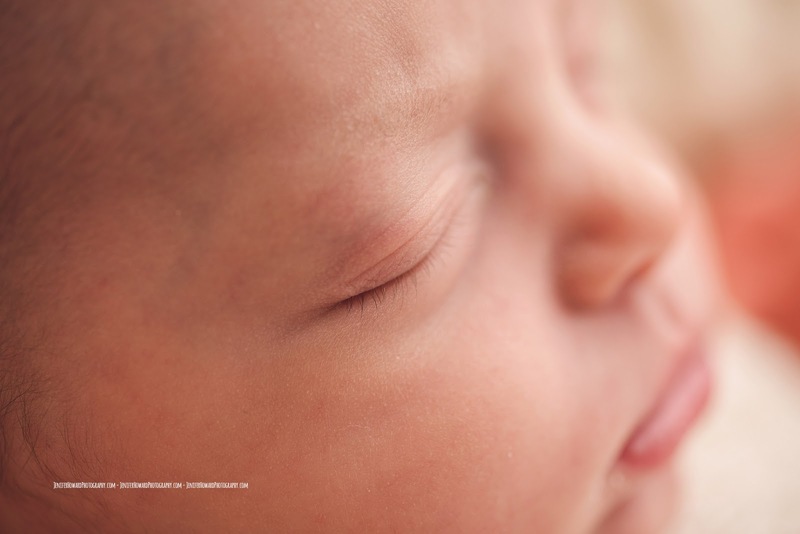 It is so unexpected to see a newborn look directly at you, let a lone for a photo, so it was such a special moment. 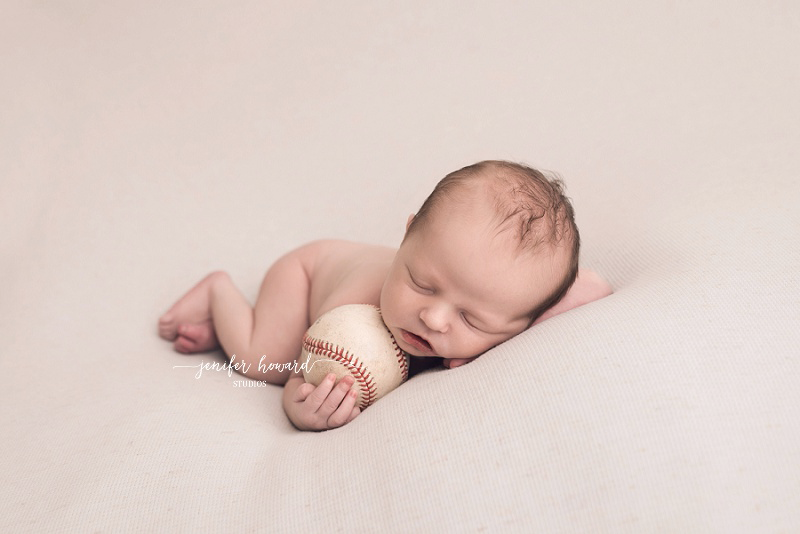 One of Chase and Jills favorite activities is to go to baseball games, so I had to incorporate baseball into his neutral colored session! I’m so happy for Chase and Jill! Reed is absolutely perfect and I cant believe that he is now close to 6 month old! He is getting so big! They were able to stop by for a quick visit here in Greensboro while they were in DC for their summer internship program, and it was the first time I had seen Reed since he was a month old! 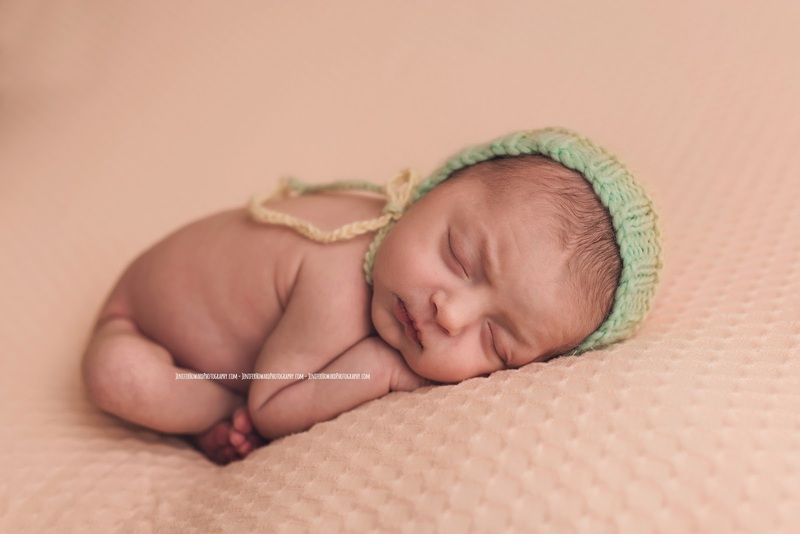 Kernersville Newborn Photography – Jenifer Howard Studios. The first message I received from Naomi’s mom was while she was on the way to the hospital to deliver her! I would have to say that was a first for me! I often receive messages within a few hours of delivery, but never while they are on their way! I checked in on her and just a few short hours later, Naomi was born! She needed a little extra care, so our original date was postponed, and due to her high risk of catching illness, we opted to have her session at her home. 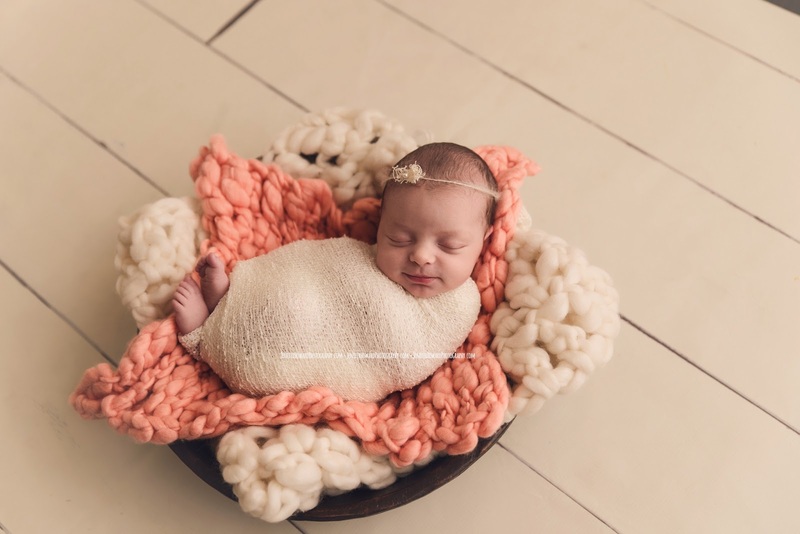 This was the first session I had done out of my studio in quite some time, and I forgot how much stuff a newborn session requires! Props, blankets, tiebacks, pillows, beanbags for support, lighting equipment, etc.. After about 5 trips back and forth hauling everything in, I quickly set up and got started. Naomi was absolutely gorgeous! 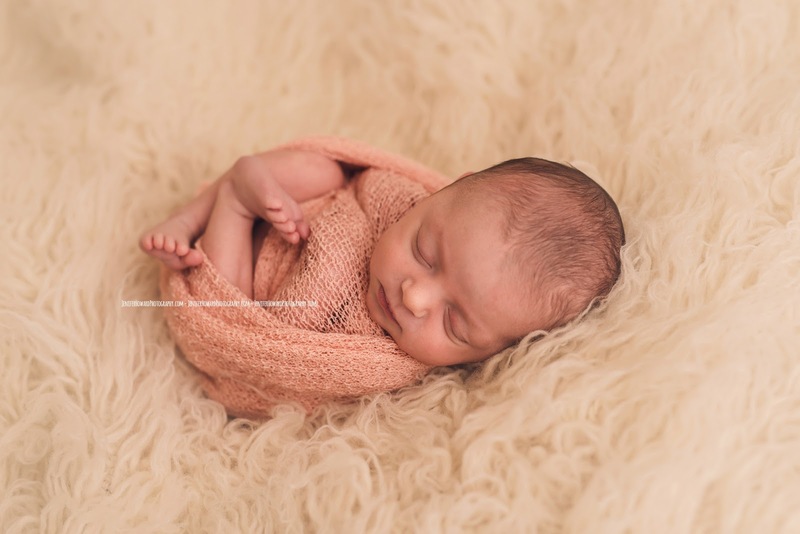 I couldn’t get enough of her beautiful long lashes and head full of hair! 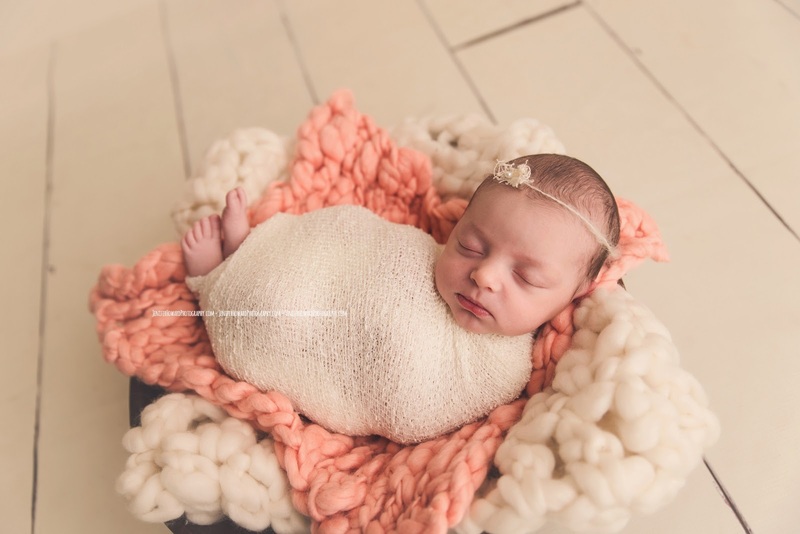 I always go into newborn sessions expecting to be working with bald headed babies, so when I get babies with lots of hair, its such a sweet surprise! Mom and Dad told me that they had quite literally JUST moved in from California a few weeks before Naomi’s arrival. I couldnt believe it because there were no unpacked boxes in site… While I had been moved in 9 months and had pushed a couple boxes into our pantry into the unpack later pile! Naomi’s mom has been so sweet to send me some updated snapshots of her, and I cannot believe how big she is getting! They grow way too fast! Before I relocated to Greensboro, I teamed up with Lizzy from Momento Studios of Mesa, AZ at the end of January to play with some new lighting techniques and this gorgeous fellow photographer and maternity model, Laci! I love collaborating with fellow photographers in the community! I think sometimes we get so busy with the hustle and bustle of running a business, that we forget to just have fun! 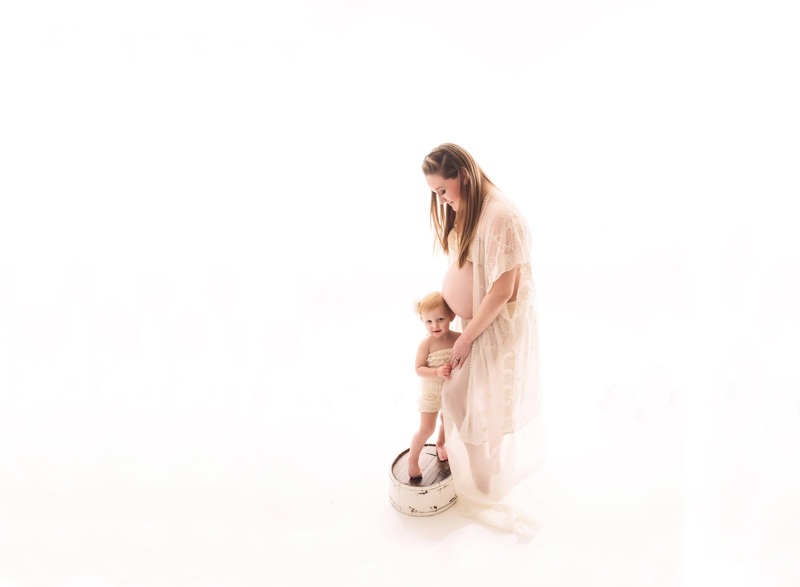 She absolutely rocked her 34 week pregnant belly! I think the sweetest moment happened when we got her little girl all dressed up and had her jump in for a few of the photos. She gave us and her mama some of the sweetest smiles! I know that one of the biggest worries I had from going from one child to two, was that my oldest would feel left out. 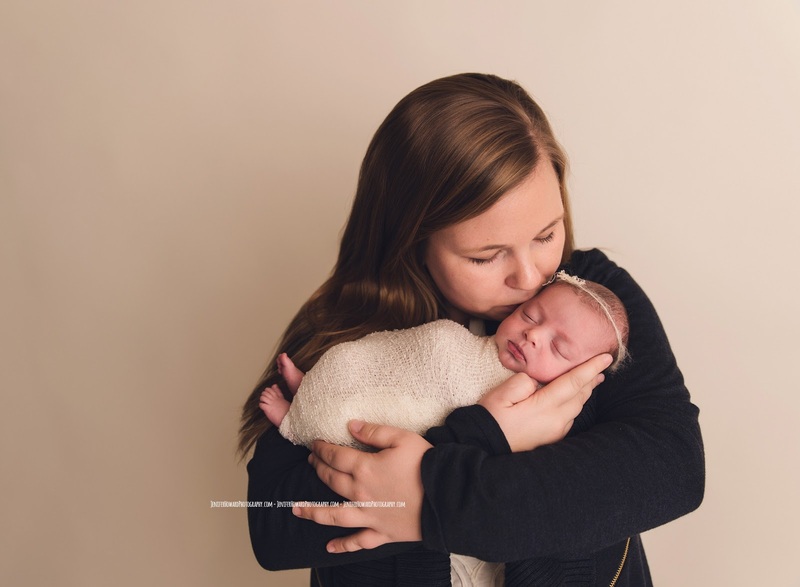 I love that we were able to capture some of the connections between mother and daughter here, and I hope that Laci and her sweet babies cherish them for years to come! 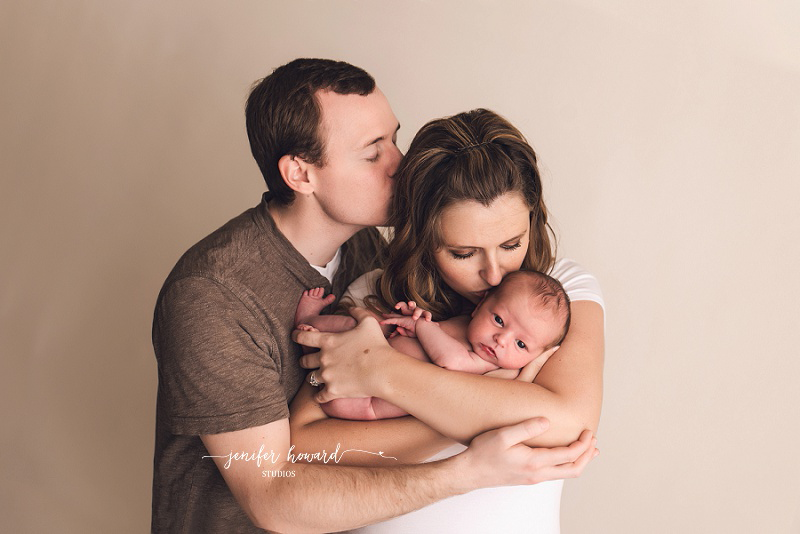 Ive been there before and I know that by the third trimester, the last thing you are interested in is getting photographed. 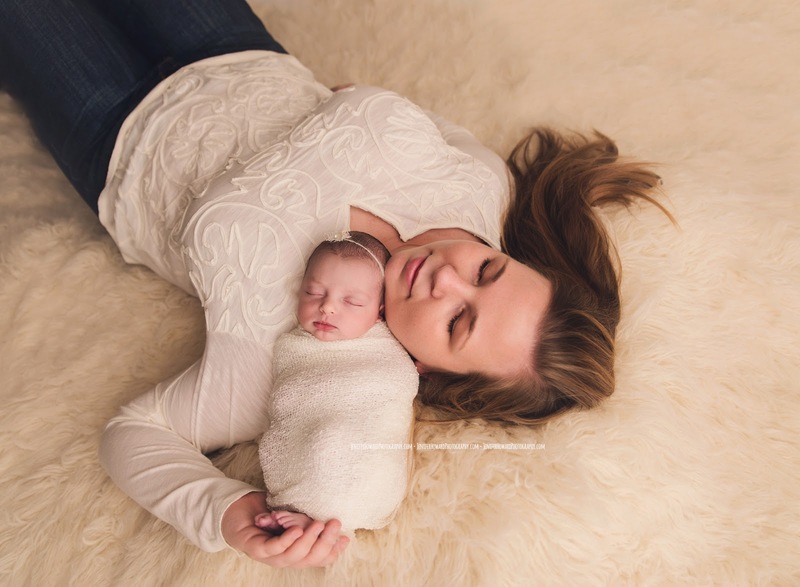 You feel like exhausted and huge and the only thing you want is for your 40 weeks to be up so you can be holding your sweet baby in your arms and you can finally sleep on your back again. You are beautiful! Although though your ankles may be a tad swollen, The moments are fleeting. 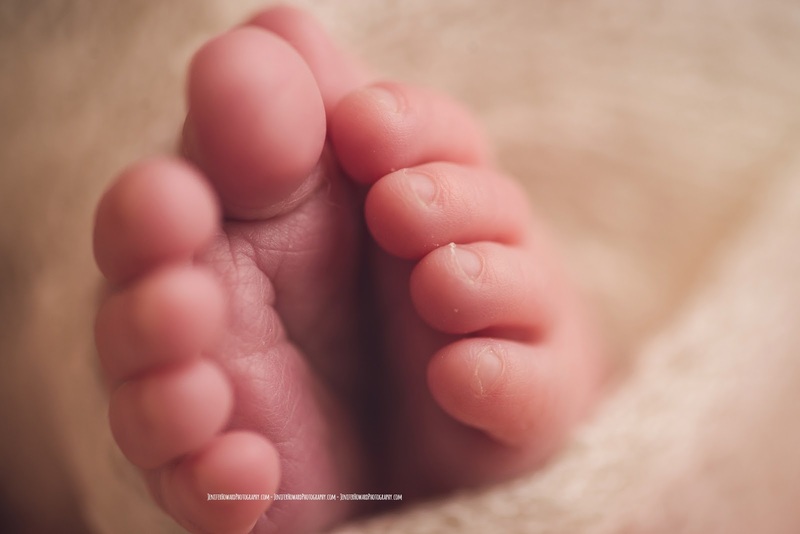 Before you know it you will have a sweet little baby in your arms, and you will miss feeling those adorable little feet kicking you in your ribs while you are trying to fall asleep. 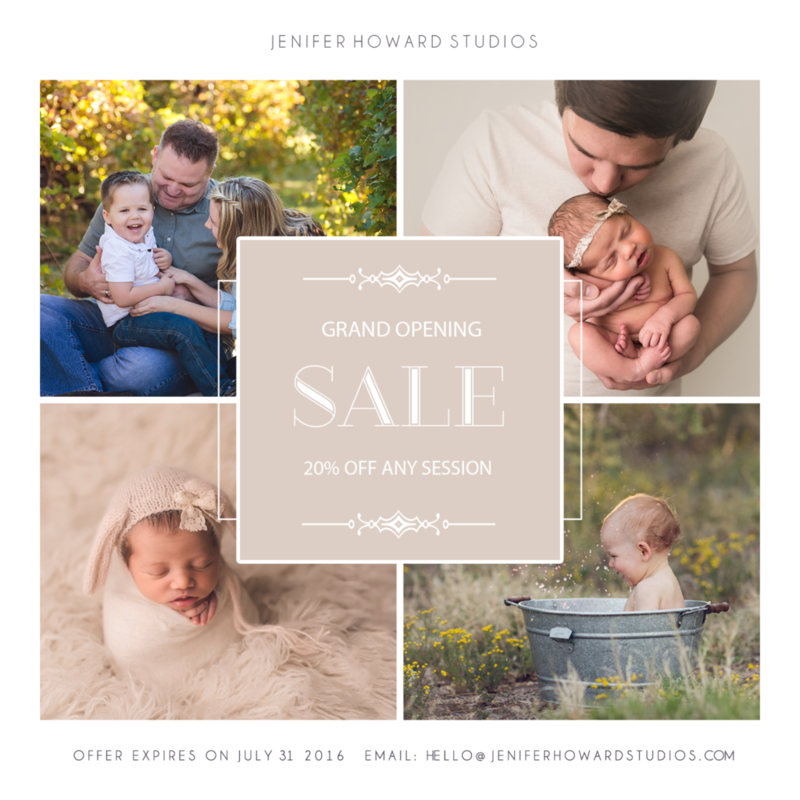 Let Jenifer Howard Studios – Greensboro Maternity Photographer, help you capture that pregnancy glow! 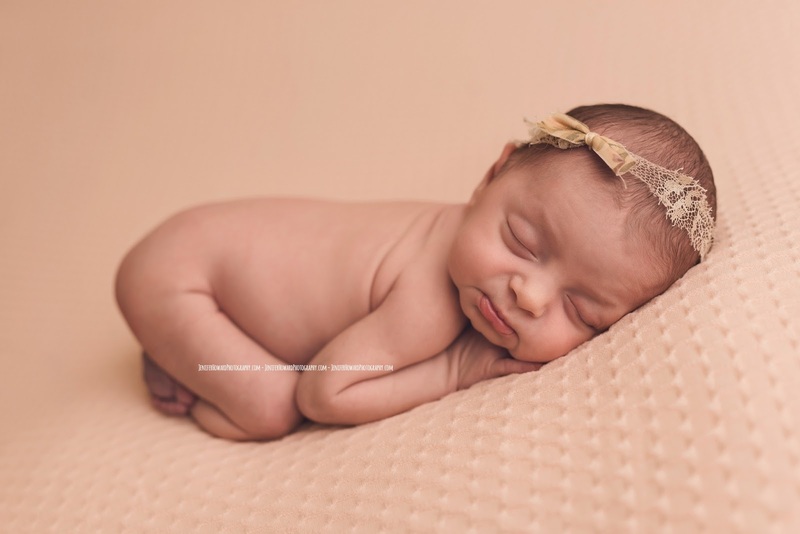 Greensboro Newborn Photography – Baby Grace. 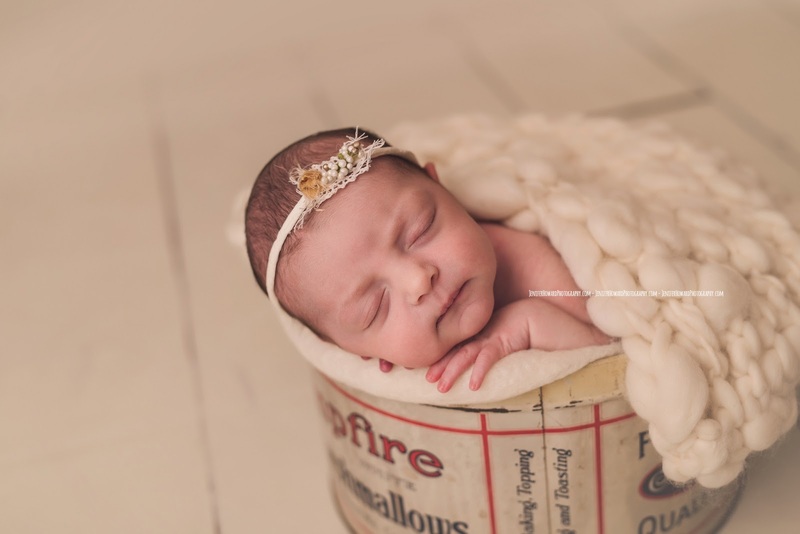 This beautiful little girl was quite the surprise for her mom and dad! They had been in the adoption process for a while and after a failed adoption over the summer, they had decided to wait a little longer before they went through the process again.Then, the phone rang. A beautiful baby girl had just arrived and was waiting for them! They jumped on a plane from their home in Kentucky to come to Phoenix to pick up their brand new baby girl! I was so excited to receive their phone call! 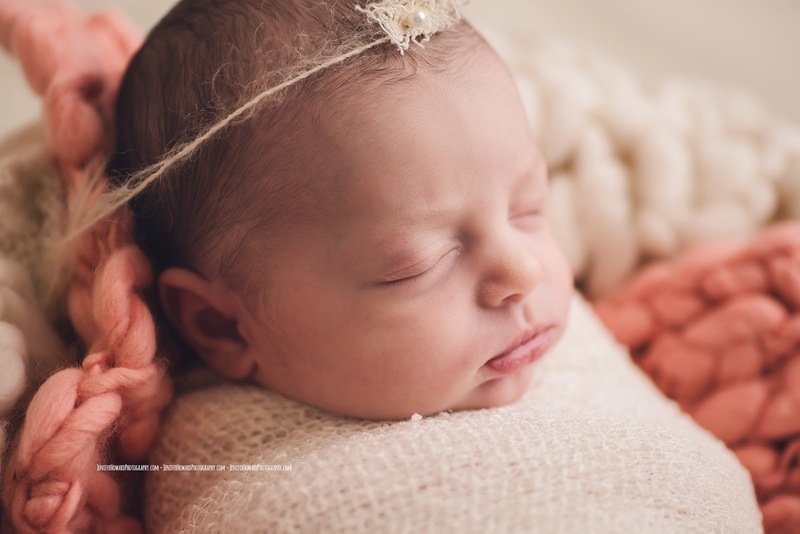 Baby Grace was 10 days new and since they were trying to get everything finalized and were unsure when they would be able to take her back to Kentucky, they wanted to make sure that they captured how tiny and perfect she was now. I had an opening the very next morning, so I put together a few sweet and simple sets for them, which included lots of pink per request! She was absolutely perfect! She gave me some adorable expressions, as you can see below! 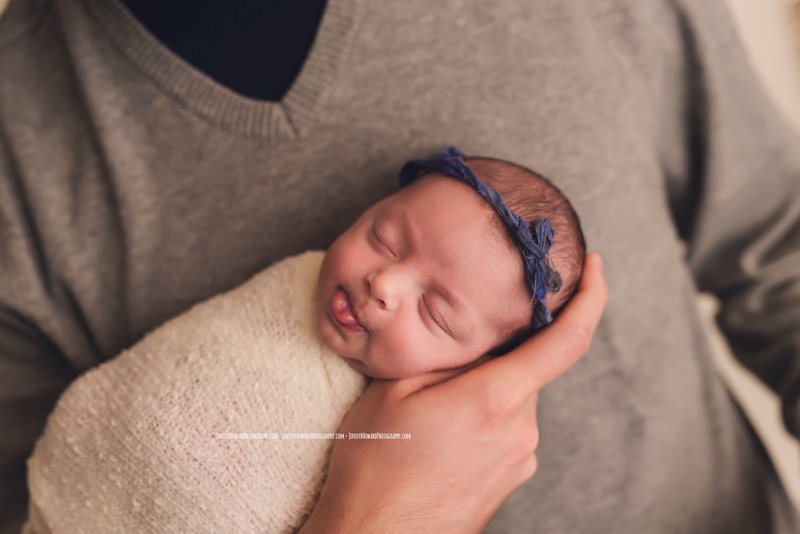 I loved her perfect smile and when she stuck her tongue out during her daddy and me photos, we all had a good laugh! Its not very often that you get such a special client! 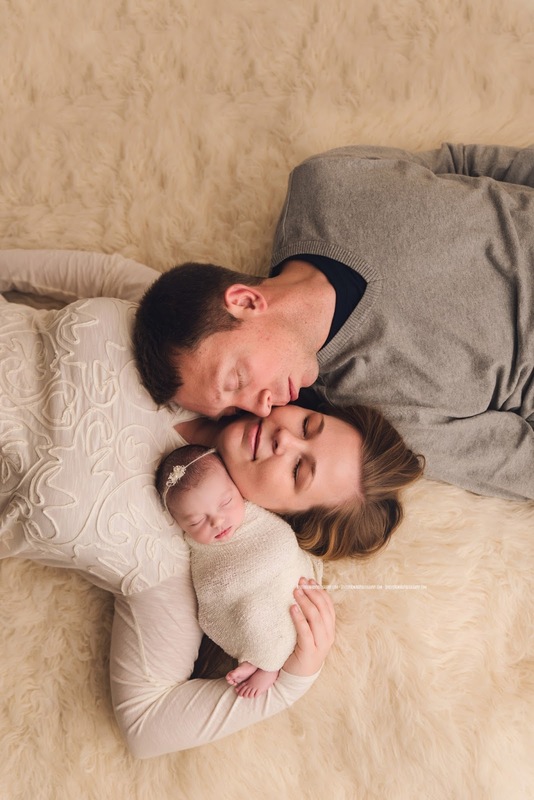 I am so glad that I was able to photograph this new family of 3! 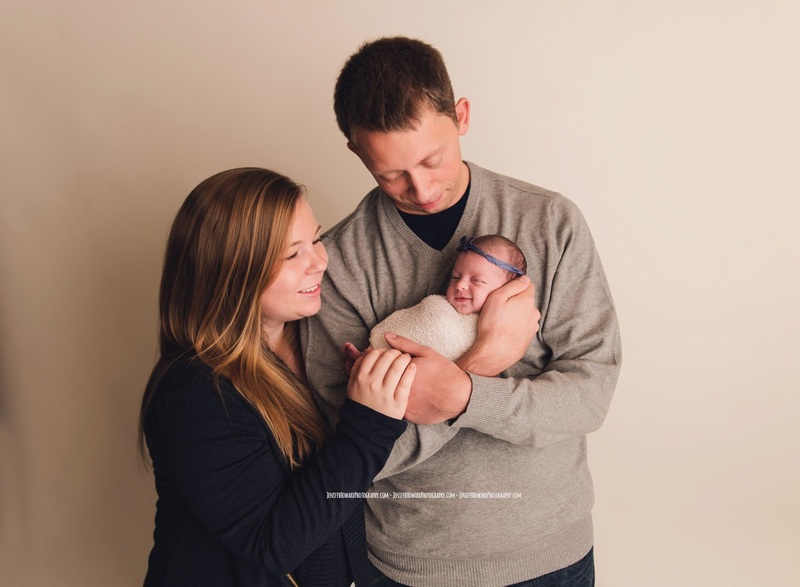 Grace is the perfect fit for their family and It was so amazing to see the love they instantly had for their baby girl! I wish them the best as they head back to Kentucky and settle into their brand new life with their gorgeous baby girl! This image was a special request from mom, It turned out perfect!! 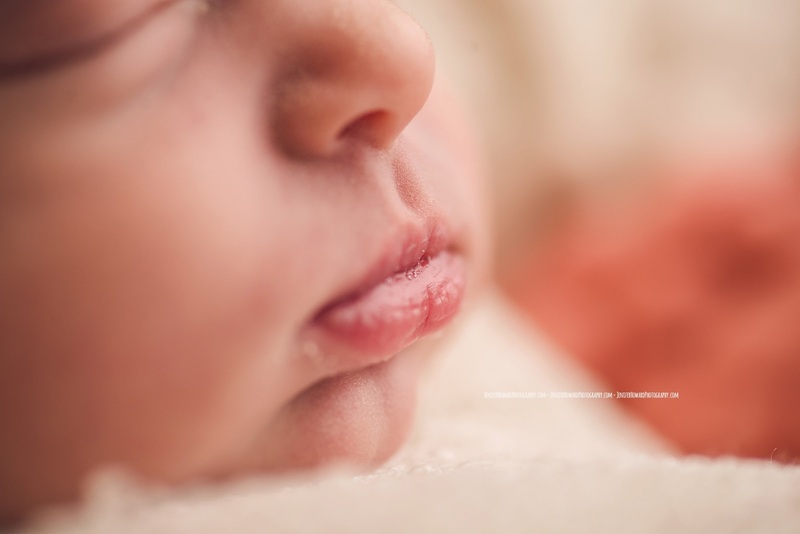 @2016 Greensboro NC, Winston-Salem NC and Triad Newborn & Baby Photographer|ProPhoto Photography Theme | Designed by That's Kinda Cool!